Uma is the Artistic Director of Natya Dhaara where she teaches Bharatanatyam to the young and the old. She is a senior disciple of the internationally famous Bharatanatyam dance couple the Dhananjayans (Shanta and V.P. Dhananjayan). Uma started learning dance at a very young age. She had her Arangetram in 1993 and since then she has performed in various festivals, conferences, programs and productions in India, Sri Lanka, Greece and the USA. Uma gave several performances that were received with great critical acclaim by audiences as well as the press. 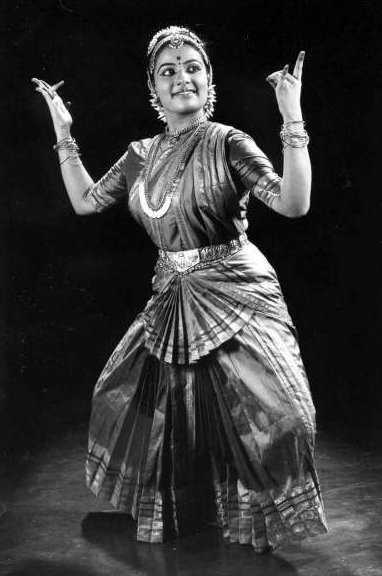 She has performed in some of the very prestigious dance festivals - Chidambaram Natyanjali Festival in Chidambaram; The Dance Festival of the International Dance Alliance in Madras Music Academy; Vasantha Bharatam - Remembering MLV in Narada Gana Sabha; "Natyanjali to Lord Nataraja"- Dance series sponsored by the Shankarabharanam Trust, Madras; Nrithya Aradhana - Dance series sponsored by the Lakshminarayan Temple, Michigan; Festival of India in Robert Ferst Performing Arts Center under the auspicious of GIACC in Atlanta and Nataraja Anjali of the Hindu Temple of Atlanta to name a few. She was also the Secretary of Atlanta Association of Bharatanatyam (AABHA Dance Inc) during 2002- 2004. She has also given workshops and Lecture Demonstrations in various places. Uma’s style of dance has been highly acclaimed for its elegance and the total and sublime involvement of the artiste in the art. Uma’s artistic vision has also been typified by a certain "creative restlessness" - her unfettered quest to juxtapose the ancient and revered traditions of Bharatanatyam, with her own avant-garde interpretations of it, and with other creative art forms from other cultures. The Hindu, India’s premier news-paper commented on her performance as "Dedicated practice, stage experience, talent and commitment to the spirit of dance enabled her to reveal the richness of the art form." Dance critique R. Raman of News Today commented, "In rendering the ‘Varnam’ the central item of the day’s performance composed by Thurayur Rajagopala Sharma, Umarani displayed a repertoire of the skills in her ‘jathis’, ‘adavus’ (dance steps) and ‘abhinaya’ (expressions). The young danseuse took the connoisseurs by surprise and appropriately enough, it was distinctive." Sunita Joshi in her review in Narthaki.com, a leading Indian Dance website writes "Bho Shambho, a beautiful composition by Sri Dayananda Saraswati and elegantly choreographed by Uma Pulendran was beautiful and was well appreciated by the audience. It was performed by Uma herself and her students Asvini Harikrishnan, Mitra Kumareshwaran, Sandhya Gomadam and Yami Joshi. This piece was in praise of Lord Shiva, depicting him as the cosmic force of the Universe. The well co-ordinated movements of Uma and her students with the fast and rhythmic jathis were quite lively.